HANSHI WILLIAM H. DUESSEL WAS PROMOTED TO 10TH DEGREE BLACK BELT BY O’SENSEI KICHIRO SHIMABUKU, SOKE OF ISSHINRYU WORLD KARATE ASSOCIATION, AT THE IWKA TOURNAMENT IN AKRON, OHIO ON JULY 13, 2013. 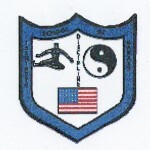 HANSHI DUESSEL RECEIVED TRAINING FROM THE FOUNDER OF ISSHINRYU KARATE IN PITTSBURGH IN 1964 AND TRAVELED TO OKINAWA A NUMBER OF TIMES TO TRAIN AND VISIT THE FOUNDER AND SON OF ISSHINRYU KARATE. THIS HONOR IS WELL DESERVED. CONGRATULATIONS! Posted in WHD Affiliation News.